The Operate Portal notifies members of different actions and/or events, using email messages. This guide will explain the role of each such email, how it all works and how you can customize it. Go to operate.essensys.tech and log in with your user credentials. Select the Portal Community Notifications folder. Each such email notification uses a predefined template which you can configure within Operate, using the Email Template Editor. 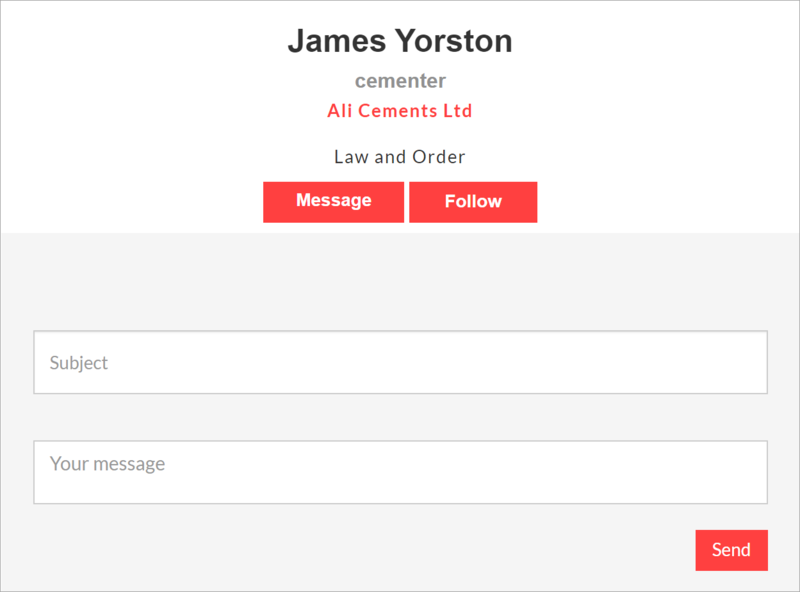 Each notification triggers when a specific event or action occurs on your Member Portal, such as a user following or messaging another user, a status update, etc. When is it sent? - The message is sent to the person being followed when a portal user clicks on the Follow link on their profile. Can it be fully disabled? - No. How do users opt out? - Anyone can opt out by going to their Portal privacy settings and selecting to opt out of shout outs and status updates. To do this, go to Portal > Hover over your name on the menu bar > Select Privacy Settings > Untick "Receive shout outs" and "Receive status updates"
How to make sure it works? - To allow Operate to automatically send this notification, please enter an email address in the "From" field of the template. You can do this by editing the "Community Following Message" in your Portal Community Notifications folder. How to customize it? - Edit for "Community Following Message" in your Portal Community Notifications folder. You can then use the email template editor to further customize the message content. When is it sent? - When viewing a user's profile and clicking 'Message'. How do users opt out? - No, unless the user profile is deactivated from under the user's Privacy Settings, where "Profile Active" needs to be unticked. How to make sure it works? - To allow Operate to automatically send this notification, please enter an email address in the "From" field of the template. You can do this by editing the "Community Member To Member Message" template in your Portal Community Notifications folder. How to customize it? 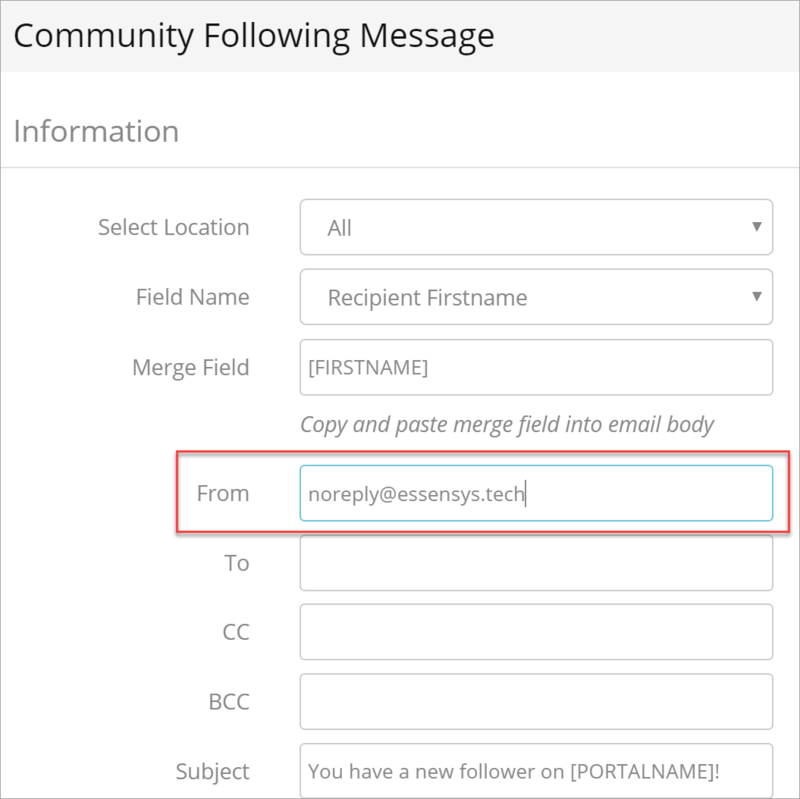 - Edit the "Community Member To Member Message" template in your Portal Community Notifications folder. 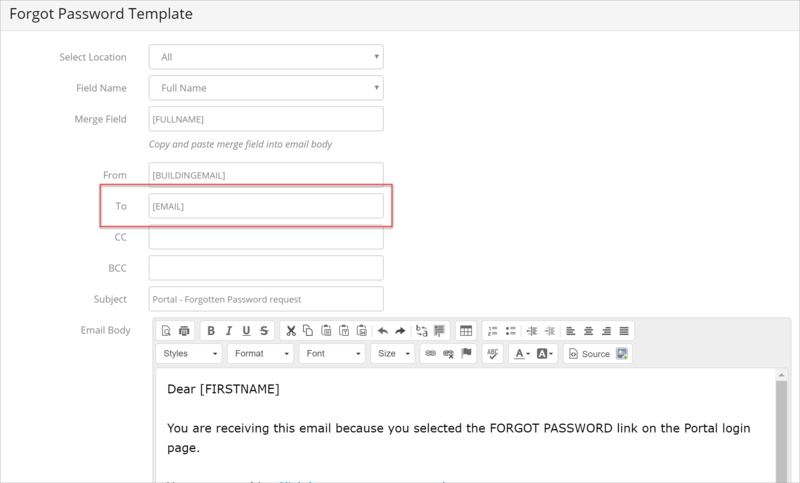 You can then use the email template editor to further customize the message content. When is it sent? - When a user posts a Status Update on the Portal. This email will attempt to go to everyone, except for users who have opted out. How do users opt out? - Anyone can opt out by going to their Portal privacy settings and selecting to opt out of status updates. To do this, go to Portal > Hover over your name on the menu bar > Select Privacy Settings > Untick and "Receive status updates". How to make sure it works? - To allow Operate to automatically send this notification, please enter an email address in the "From" field of the template. You can do this by editing the "New Community Status" template in your Portal Community Notifications folder. How to customize it? - Edit the "New Community Status" template in your Portal Community Notifications folder. You can then use the email template editor to further customize the message content. When is it sent? - When a user replies to a Status Update that you have posted on the Portal. Can it be fully disabled? - No, but users may opt out. How to make sure it works? - To allow Operate to automatically send this notification, please enter an email address in the "From" field of the template. You can do this by editing the "Community Status Reply" template in your Portal Community Notifications folder. How to customize it? - Edit the "Community Status Reply" template in your Portal Community Notifications folder. You can then use the email template editor to further customize the message content. When is it sent? - When a user posts a Shout Out on the Portal. This email will attempt to go to everyone, except for users who have opted out. How do users opt out? - Anyone can opt out by going to their Portal privacy settings and selecting to opt out of shout outs. To do this, go to Portal > Hover over your name on the menu bar > Select Privacy Settings > Untick "Receive shout outs". How to make sure it works? - To allow Operate to automatically send this notification, please enter an email address in the "From" field of the template. You can do this by editing the "New Community Shout Out" template in your Portal Community Notifications folder. How to customize it? - Edit the "New Community Shout Out" template in your Portal Community Notifications folder. You can then use the email template editor to further customize the message content. When is it sent? - When a user replies to a Shout Out that you have posted on the Portal. How to make sure it works? - To allow Operate to automatically send this notification, please enter an email address in the "From" field of the template. You can do this by editing the "Community Shout Out Reply" template in your Portal Community Notifications folder. How to customize it? 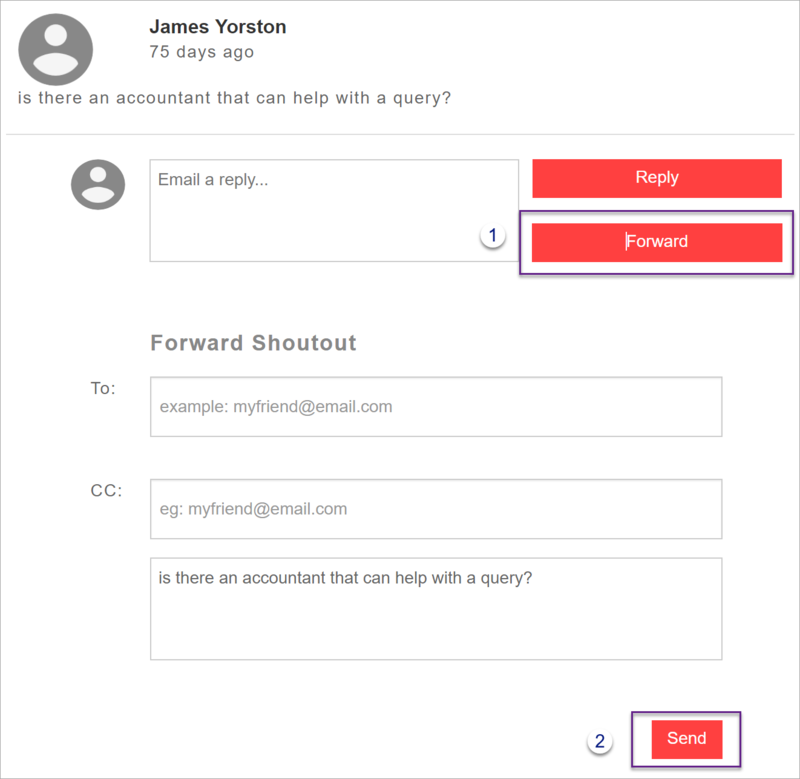 - Edit the "Community Shout Out Reply" template in your Portal Community Notifications folder. You can then use the email template editor to further customize the message content. Can it be fully disabled? - No, since it is necessary for the Shout Out Forward feature to work. How to customize it? - Edit the "Community Shout Out Forward" template in your Portal Community Notifications folder. You can then use the email template editor to further customize the message content. When is it sent? - When a user wants to reset their password, using the link provided on your Portal login page. Can it be fully disabled? 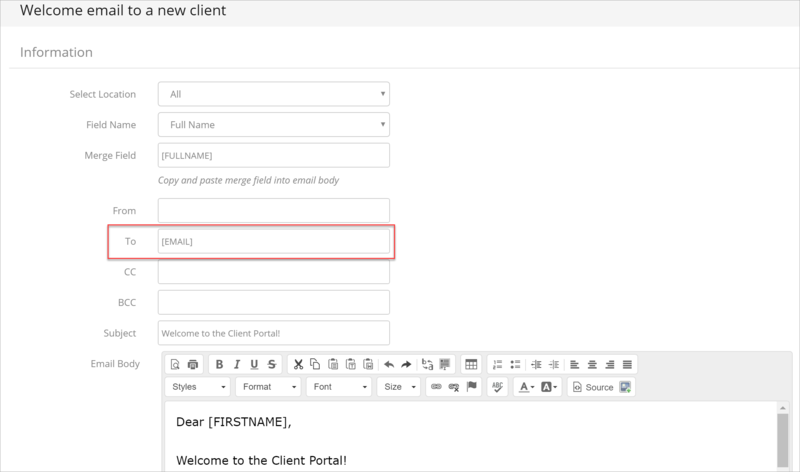 - Yes, it will not trigger if the corresponding email template does not contain the "Email" merge field under the 'To' box. When is it sent? - Whenever a new user is invited to the Portal. What is it for? - This email can be used to provide essential information to your users, such as what they can use the Portal for, how to use it, how to configure their password and/or account settings, etc. Just like the "Forgot Password" and "Welcome email" notifications, all other Portal notifications, except for the ones explained above, such as desk and meeting room bookings, as well as payment notifications require you to make ONE of the following configurations, depending on the desired result. Add the "[EMAIL]’ merge field into the ‘To’ box to make sure they get sent to the user who has performed the action (booking, payment, etc). Add an individual email address, if you prefer to send these notification to a specific person/email address. 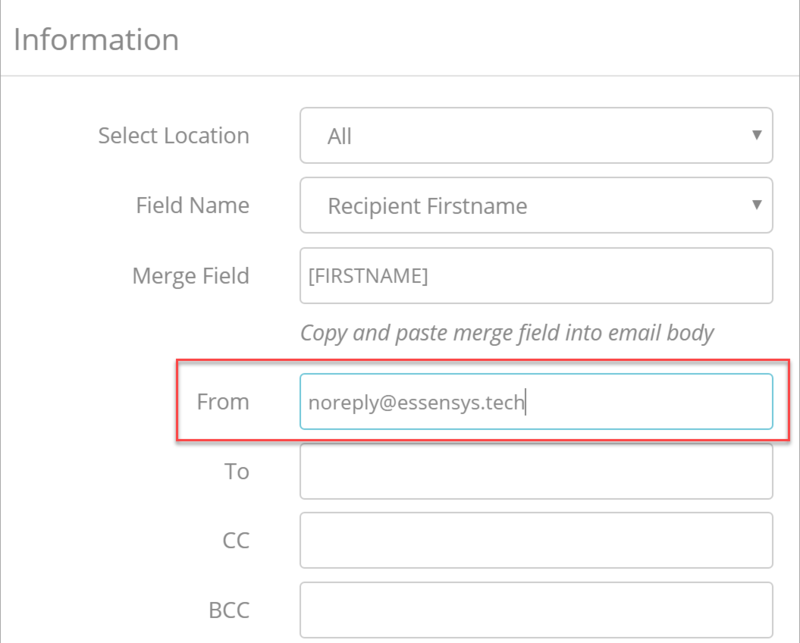 You can use both the merge field and a separate email, by separating them with a comma. Leave the 'To' box blank and no notifications will be sent. Please refer to the Email Template Editor. guide, for further information on customizing your email templates.